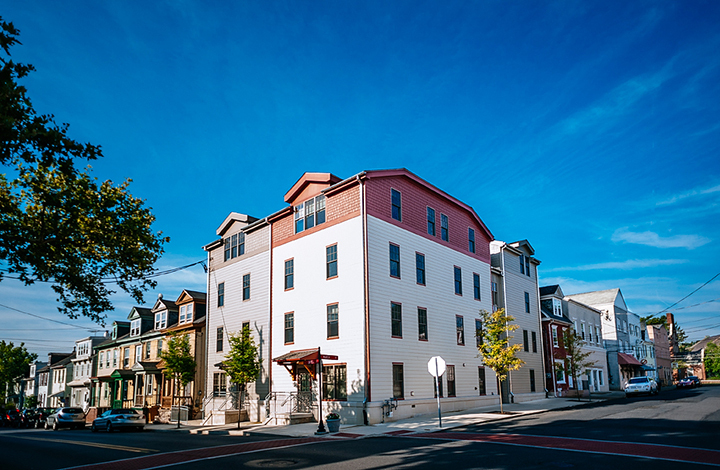 Radnor is the developer, owner and operator of this $3 million, 12,000 square foot student apartment building one block from Lafayette College’s campus. 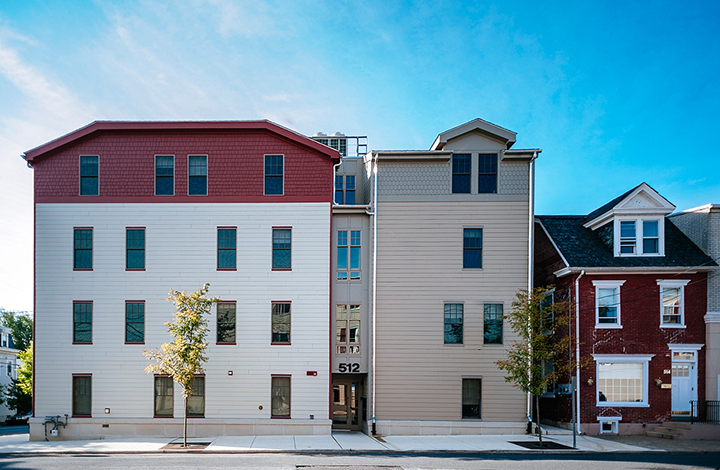 This 3-story infill development project located in the heart of the College Hill residential community is designed in context to the single-family and multi-family neighborhood and consists of twelve 2 and 3-bedroom apartments for 31 students. The project was structured in partnership with Lafayette as the College was in need of off-campus housing for its upper-class students. The College maintains ownership of the ground and leases it to Radnor on a long term basis. The building is master leased back to Lafayette and was completed in Summer 2012.